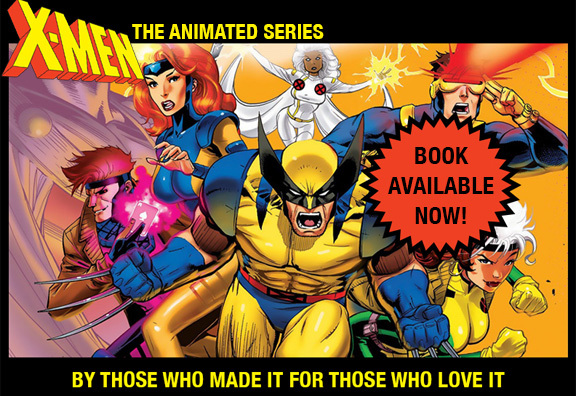 X-Men: The Animated Series (1992-97) has been an important part of millions of people’s lives for nearly 25 years. We were lucky enough to have been involved in its creation and production. Dozens of people were thrown together in this unlikely challenge. Lifelong friendships have been a result of our shared experiences. This site exists to celebrate the show, its creators, and the devoted fans who made it an unanticipated worldwide success. The site’s primary contributors will be those people who worked, often across continents, to build the best TV show they knew how to make. We and our friends and colleagues write stories and draw pictures and playact for a living. For that alone we are thankful. This time, “things went right.” For that, and your continuing interest, we are grateful.